Once a big time player in the PDA world, HP’s iPAQ line has deep stemming roots connected with Microsoft’s Windows Mobile platform. 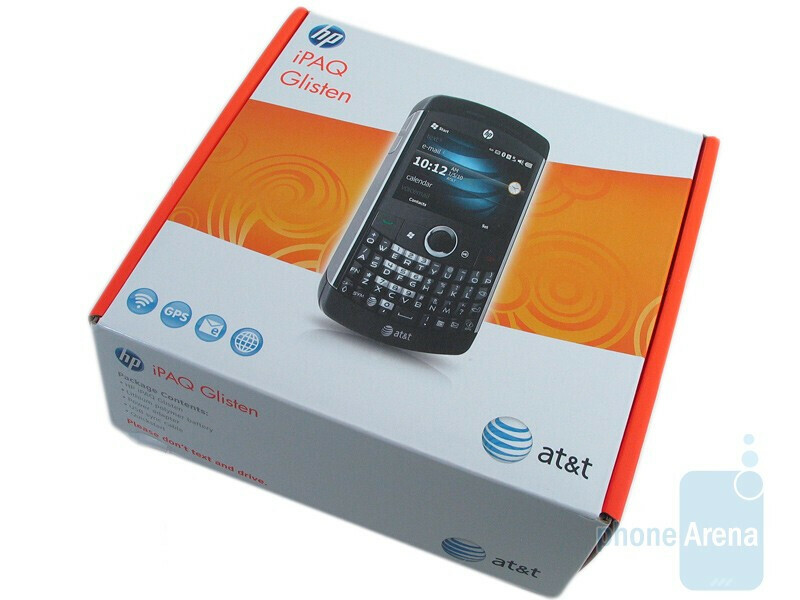 AT&T customers are now treated once again to a new smartphone from the dominant PC manufacturer in the form of the HP iPAQ Glisten. It’s been a long journey for HP, but it’s going to require some impressive features to live up to other Windows phones that are already garnering praise with good looks and functionality. 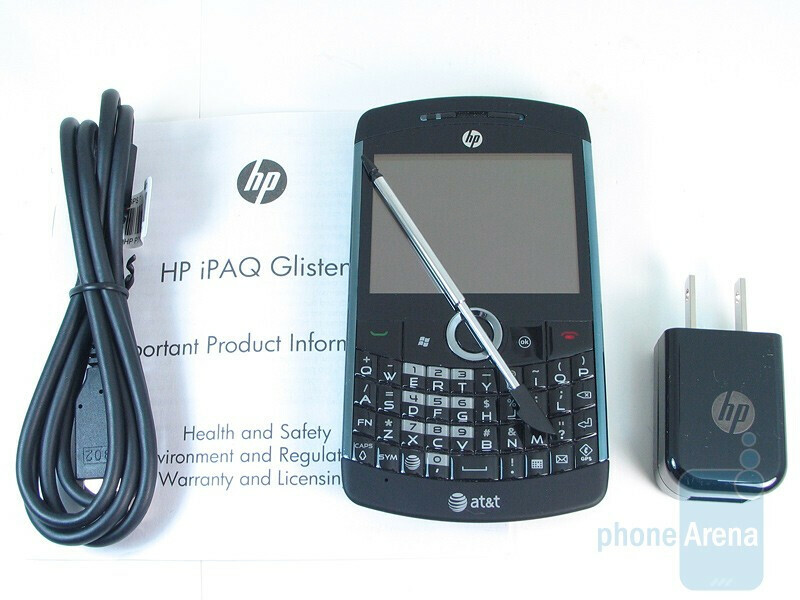 Quickly gazing at the HP iPAQ Glisten, we were delightfully greeted to an aesthetically pleasing handset with its choice to quality materials and contrasting colors. The mostly silver and black handset does glisten with a design that’s compelling with its soft touch feeling casing and curvaceous construction. 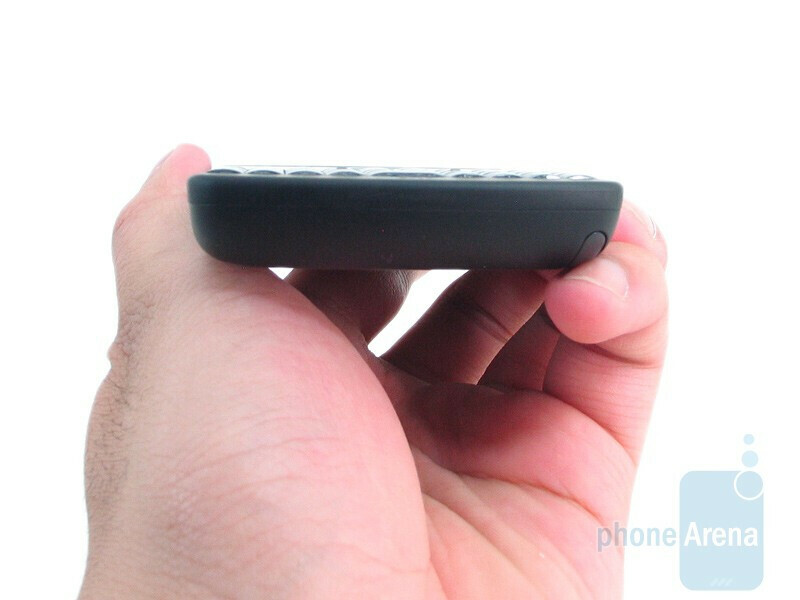 Sure it may have an overall footprint similar to past portrait QWERTY handsets, but it’s not too overbearing or bulky (0.53” thick) – easily making it hide inconspicuously in your pocket. Although it’s somewhat heavier (4.66 oz), we feel that it’s partly welcomed thanks to a solid overall construction that makes it feel durable. The mostly silver and black handset does glisten with a design that’s compelling with its soft touch feeling casing and curvaceous construction. You can compare the HP iPAQ Glisten with many other phones using our Size Visualization Tool. AMOLED displays are still very rare outside of Samsung’s camp, but the HP iPAQ Glisten is fortunate to offer one that’s responsive. We’ve applauded many handsets in the past that utilized AMOLED displays, but the 2.5” QVGA display on the Glisten isn’t really as good. There’s a noticeable bluish color to the screen – it’s especially noticeable when white color is displayed.. It doesn’t seem as bright when compared to other AMOLED displays we’ve seen either. In addition, the 320 x 240 resolution with 65k colors isn’t sharp enough to prevent your eyes from squinting from garbled looking text. The layout of the hardware buttons on the Glisten is your usual fanfare – they’re all well sized for even the largest of fingers to press. We like the fact it houses both a microUSB and 3.5mm port for the basic connectivity essentials. There’s a dedicated button on the top edge that’ll activate Wi-Fi – not sure why HP decided to go with one, but we found ourselves rarely relying on it. 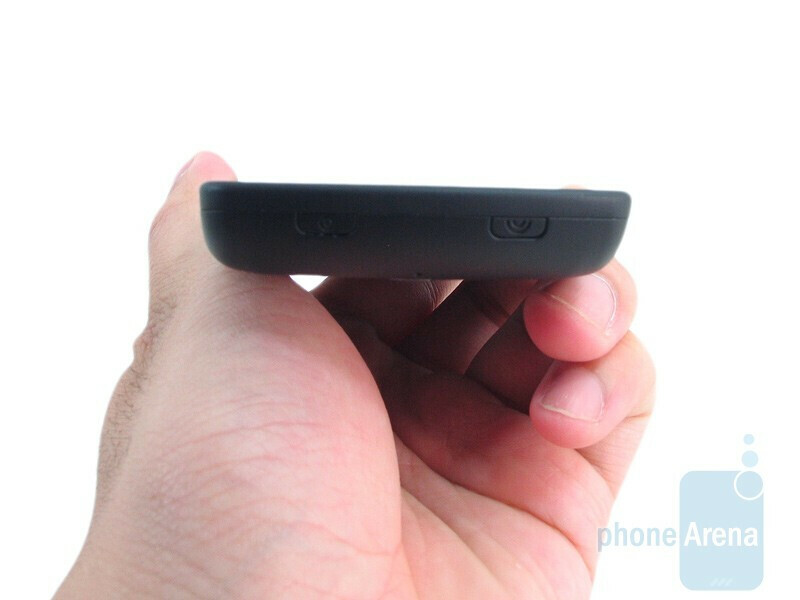 Finally, there’s an area on the back of the handset where the stylus rests in place. 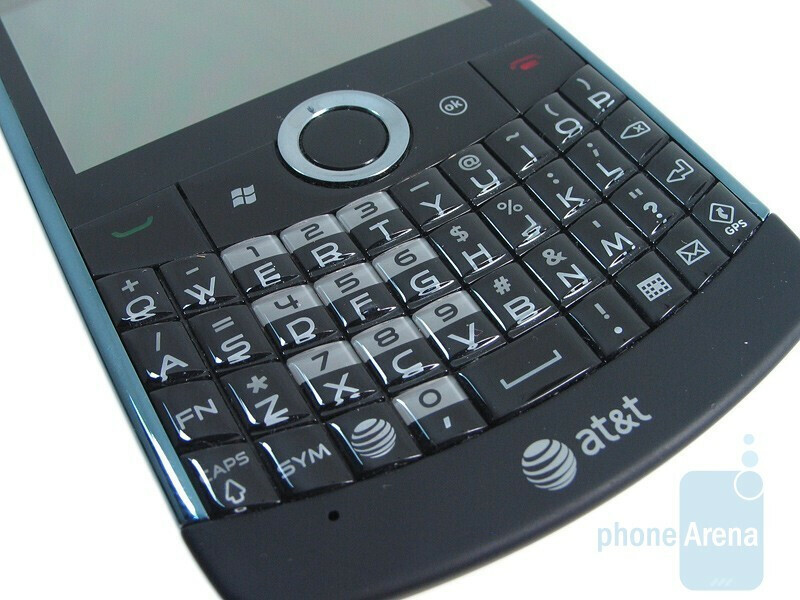 The best feature we adored most about the Glisten is its usable and evenly sized QWERTY keyboard. 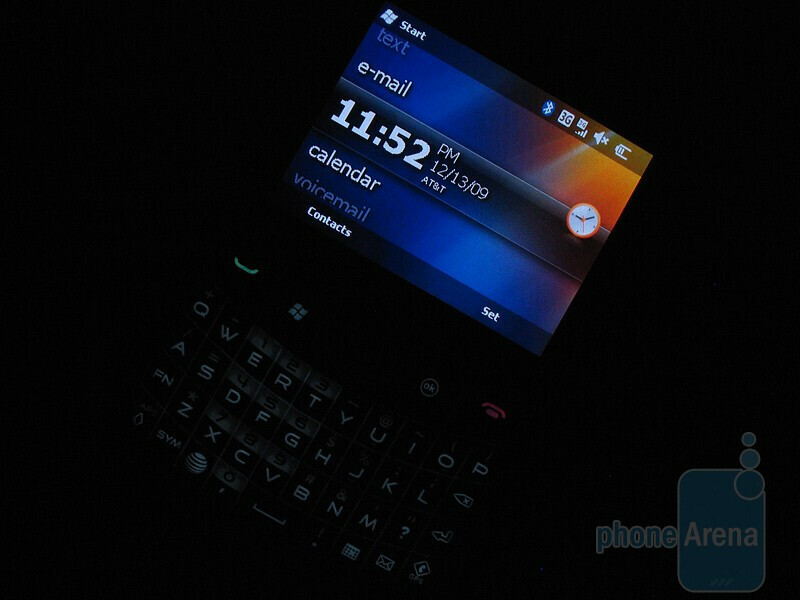 It rivals some of the better ones out there like the Motorola Q9H and BlackBerry Bold 9000. There’s a solid tactile feel whenever you press down on one of the curved buttons. We would’ve liked to see a brighter backlighting, but feel it’s ample enough to make out. Speedy texters will quickly realize how well the QWERTY works for all their messaging needs – there will be no pauses or mispresses on the Glisten.